How to pair dishes with craft beer? 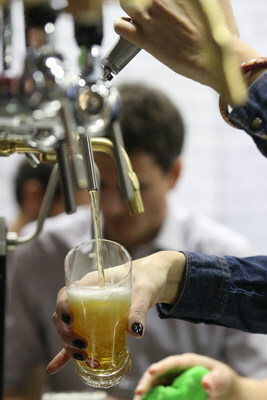 This will be discussed at Beer Attraction, the trade fair organized by Italian Exhibition Group (IEG) dedicated to speciality beers, craft beer and food for the HoReCa channel, being held from 16th to 19th February at Rimini expo centre (Italy). Seminars, talk shows and meetings under the banner of border-free business at a 4-day exhibition addressing the sector’s professionals. America’s huge Brewer Association (BA), an association with over 4,904 American breweries, will present for the first time to Beer Attraction visitors “Taste vs Flavor: how craft beer can elevate pairing in menus” a study on matching dishes and American craft beers. Also at Beer Attraction “The Power of Craft Beer – Update and Trends in America Craft Beer” an overview of the home of the world’s largest most diversified beer culture: America. On Monday 18th February “The Beer Market in the USA“, the conference in collaboration with ITA – Italian Trade Agency on the various opportunities for overseas development of Italian exports. The meeting of America and Europe will lead to international comparison on the world of Independent Craft Brewers. Brewers Association (BA) and key members of Britain’s Society of Independent Brewers (SIBA) will describe “US craft beers and European craft beers: two markets in comparison“ a journey through the brewery market, that from France crosses the United Kingdom and finally reaches Italy. The Beer of the Year award (14th edition) will be assigned on opening day by an international panel of judges made up of the elite of world connoisseurs.